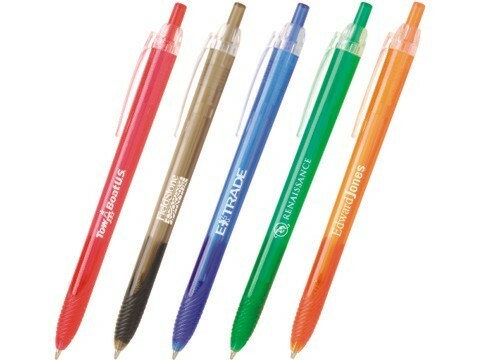 Whenever we make pens for our own trade shows, we tend to stick to bright colors because they really catch the eye. The Thomas is a fine example. Rich colors and an eye-catching translucent barrel. Matching color grip for comfortable writing.